I've gotten a bunch of new readers recently. So I wanted to take time throughout the month to write at least one post a week focusing in depth on something about me that you wouldn't normally see here. 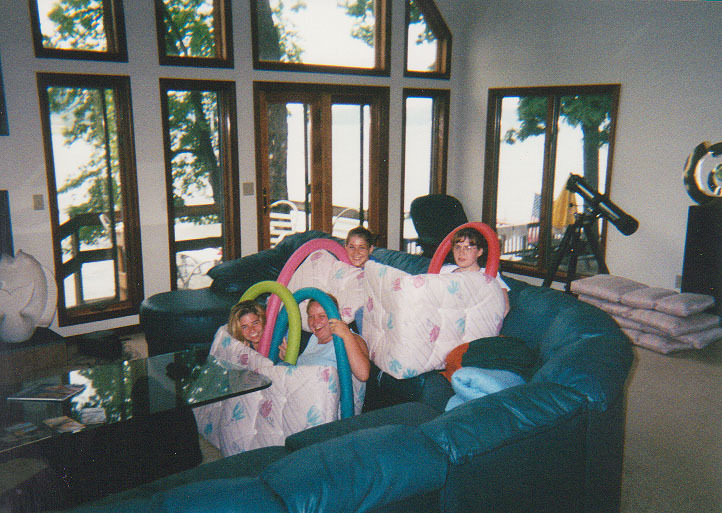 This week, I've decided to tell you about a favorite memory from my childhood. This isn't just one memory, but pretty much every summer since I can remember. I would spend the majority of my summers at the lake, especially when I was elementary school age and younger, although there were fun times in high school and college as well. I remember spending my days swimming and when I was little playing on the rocks along the shore before the seawall was built. I remember playing with my "neighborhood" friends up there and I couldn't wait to see them every summer. 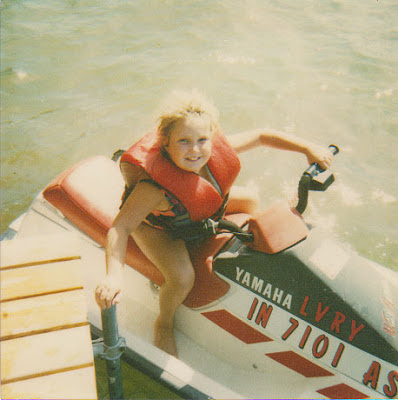 When I was a little older, we would spend hours, and I mean hours on the jet ski driving around the lake. I will never forget the time my friend Angie and I chased down this pontoon boat full of guys, or the time I got "pulled over" with Jeshana. While I lived closer right after college, I would go up every weekend and hang out. Even though I only get to go a few times a year now, I still really enjoy it. It's my hope that my kids will be able to enjoy their time up there too! I love summer memories! I think it is fun to return to places again and again to make memories there.